Cheree Alsop is the mother of a beautiful, talented daughter and two amazing twin sons who fill every day with light and laughter. She married her best friend, Michael, who changes lives each day in his Chiropractic clinic. Cheree is currently working as a free-lance writer and mother. She enjoys reading, riding her Ninja motorcycle on warm nights, and rocking her twins while planning her next book. She is also an aspiring drummer and bass player for her husband’s garage band. Cheree: I grew up on a farm in Delta, Utah, where I learned the value of hard work and the joy of working with animals. 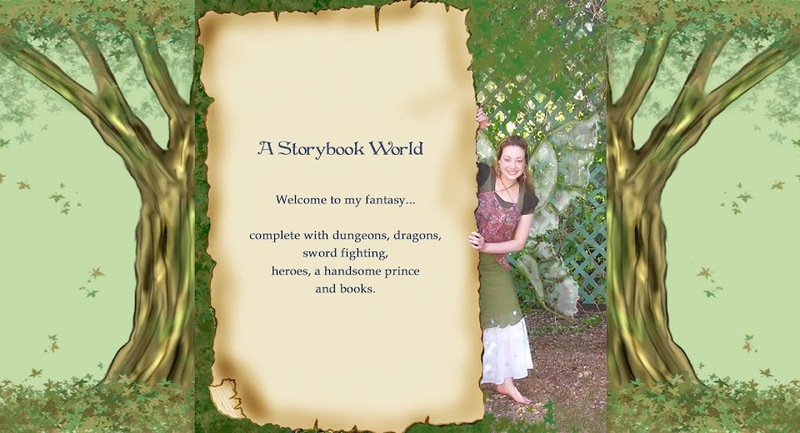 I dove into books at a young age and started writing my own books not long after that. I used to read in the trees in our yard and fell in love with the escape books offered and the chance to experience other lives and adventures far beyond my little world. The first book I ever wrote was a Western hand-written in a notebook that I finished when I was fifteen. 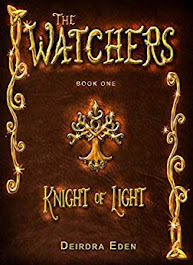 It wasn’t very good, but it made me realize that I could indeed finish something I started writing, and it showed me the exhilarating experience of developing my own worlds and characters. Cheree: I began collecting rejection letters early on with my writing. I went to writer’s conferences, which I highly recommend to anyone interesting in writing, I pitched to agents, sent queries, and sent manuscripts to both publishers and agents, but the rejections continued to pile up. Despite a few promising letters, I eventually realized that if I wanted to get published, I would have to take matters into my own hands. Self-publishing was the best decision for me because I like having control over my books and seeing what I can make of them. It’s not the easiest path, but it is very rewarding. 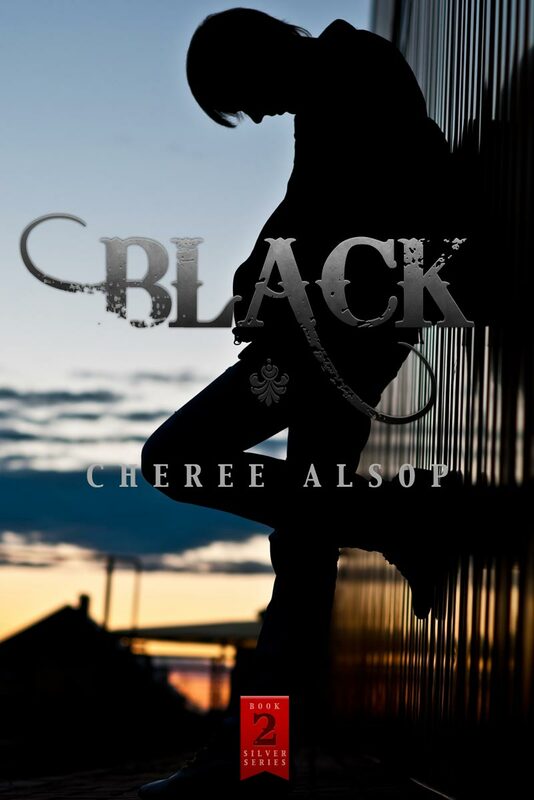 Cheree: As much as I like to say I took every rejection happily, it did get a little frustrating sometimes when I also didn’t hear any reason as to why the books were rejected. Before self-publishing became more streamline, I thought going through an agent and a publisher were my only options, so I kept trying. I just told myself that each rejection got me that much closer to being published, and in a way, it was true! Cheree: I have several pages of ideas in a notebook that I’m just dying to get to! When the right idea strikes, it sits at the back of my mind and pesters me until I at least write down a synopsis so it doesn’t get lost. When I’m caught in the middle of an idea, it’s such a great feeling knowing that it could eventually turn into a book! Deirdra: Can you tell us a little about your newest book Crimson. Cheree: The Silver Series is one that I knew I would eventually write. It’s a series about teenage werewolves trying to survive in today’s world. I love putting myself in my characters’ shoes and wondering how it would be to deal with the normal struggles of growing up along with the additional challenges of being a werewolf. I’ve always been fascinated with wolves in general, and so the transition to writing a werewolf series was a smooth one; though for some reason I was always against the idea. I never wanted to be a cliché writer, and so my werewolf books don’t just center around life as a werewolf. Instead, they focus on the different aspects that being a werewolf might bring with it. Wolves are one of the few animals who chose a mate and stay with them, usually for their entire lifespan. I felt that this offered a deeper side to werewolves that hasn’t been greatly explored. Wolves are also fiercely loyal and are very territorial, which lends to confrontation and self-sacrifice in difficult circumstances. Crimson is the third book in the series. It’s about a teenage boy named Kaynan who dies in a car accident and awakens a werewolf. Burdened with heavy guilt over his sister’s death in the same accident, Kaynan escapes with a blind girl named Grace who gives him purpose and direction. Kaynan and Grace seek shelter with a pack of werewolves who brave dangerous odds to help them. Kaynan is given the ultimate chance to make up for his poor decisions, but dying again might be the only way to redeem himself. Cheree: If I get a snag, I go for a ride on my motorcycle or in a car (depending on the weather). Driving helps clear my mind and I listen to my playlist (if I’m in the car), and it helps refocus my writing. Cheree: Music is my muse. I create playlists before I write each book. The songs in the playlist capture the emotions I want to reflect in the stories. I might listen to a song a hundred times while I writing one particular scene in the book, and if I read it again and feel the same emotion, I know I’ve captured what I wanted to for that section of the book. Cheree: My husband has made the greatest difference by far. He reads every book before I release it and helps me to iron out the snags and rough spots so that the final copy is complete and smooth. He gives me ideas when I’m stuck, and he’s the master behind several of my titles! It’s great to have someone so supportive of my writing. He believes in my stories and where they’ll take us, and he’s behind me every step of the way. Several members of my family also read each copy and catch the glaring errors. It’s amazing to have so much support behind my writing. Deirdra: I know you are a mother to three kids (two of which are young twin boys!) How do you balance your family time and writing time? Cheree: Robin Hobb, one of my favorite authors, told me once that you never have more time to write than you do right now. At the time I had a newborn baby (she is now 9), and since then the twins (who are now 2). I try to catch time to write every day, even if it’s just for ten minutes. I write when they’re playing or sleeping, and if I don’t get a chance during the day, sometimes I stay up late just to get some ideas down. My biggest goal is to never let an idea get lost and so I try to write when the ideas are flowing the strongest. Cheree: Chocolate, haha. Sometimes if I write at night it’s the only thing that keeps me awake. Thank goodness for chocolate! Cheree: I love to ride my motorcycle, I play the bass in my husband’s garage band, and I love to travel. But most of all, I love spending time with my family. Cheree: I would echo Robin Hobb’s words and say that you'll never have more time than you do right now to write- write in all the spare moments. It'll come together eventually, but write whenever you have that gut feeling to do it. Don't let the ideas slip between your fingers. And above all, believe in your dreams. They really do come true. Cheree: I’m currently working on book two of The Shadow Series and editing book four of The Silver Series. There’s also a book about Shifters called Stolen that’s almost ready to be published and will herald a new series of its own. Cheree: Please go to my website at www.chereealsop.com The books are available on Amazon, Barnes & Noble, and Smashwords, and the links are at my website. Cheree: Thank you very much for the opportunity to be on your website. I greatly appreciate your time and for those that have read this interview. 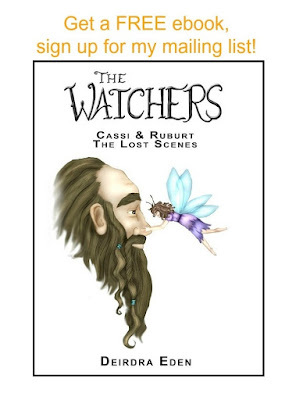 I hope others can enjoy my books the way I enjoy the escape and adventure offered by other authors. 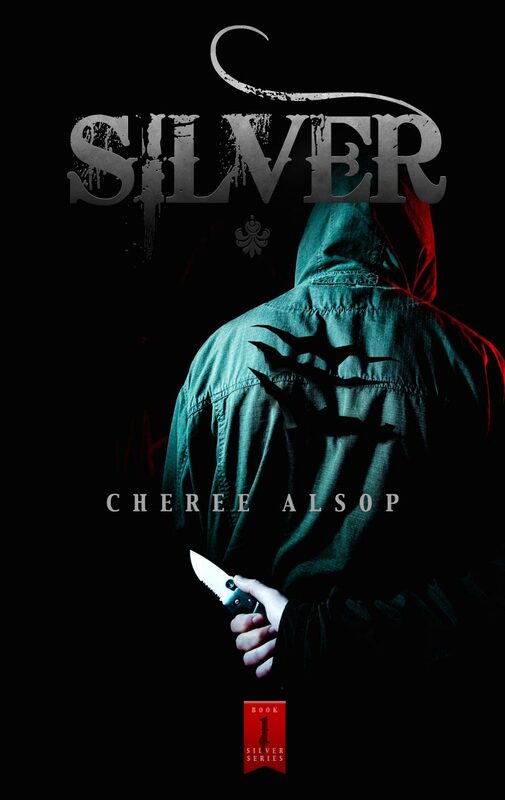 Silver: Silver, book one of the Silver Series, is a coming of age story about a teenage werewolf whose father is murdered. He has to come to terms with his new life, new school, and new friends while trying to prevent more killings. Attempting to make peace with the territory’s pack and falling in love with a werewolf hunter’s daughter make his new situation even more perilous. Black: Black is about a werewolf raised through the atrocities of a werewolf fighting ring. He is rescued and given the chance at a new life, but haunting reminders of his past follow him as he tries to make a fresh start. He has to confront his dark history in order to protect the girl he loves, or let himself be swept away into the pain and humiliation of the arena once more. Crimson: Crimson, the third book of the Silver Series, is about a teenage boy who dies in a car accident and awakens a werewolf. Burdened with heavy guilt over his sister’s death in the same accident, Kaynan escapes with a blind girl named Grace who gives him purpose and direction. They seek shelter with a pack of werewolves who brave dangerous odds to help them. Kaynan is given the ultimate chance to make up for his poor decisions, but dying again might be the only way to redeem himself. 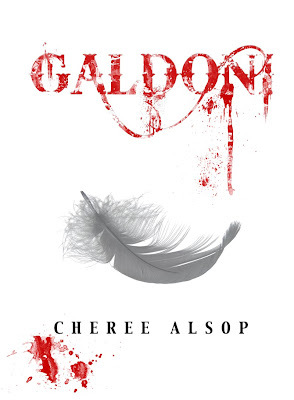 Galdoni: “This is the Arena, and here we live to die.” These are the words carved into a holding cell where genetically-altered gladiators, the winged humans called Galdoni, are trained to fight. Kale, rescued by three high school students and nursed back from the brink of death, is given the chance to experience life as a human. When he is captured, he has to use what he learned in the world outside the Academy in order to free the other Galdoni and return to the human girl he loves. 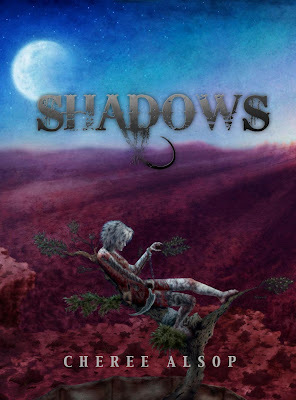 Shadows: Duskies are born in a dangerous world as servants of the lords of light and shadow, but when creatures known as the Sathen threaten all the races, a Duskie named Nexa finds herself caught in the middle of a perilous journey to save her people and unite the races as one. Facing dangerous odds, prejudice, and violence, Nexa finds strength in those around her and, ultimately, love. I admire anyone who can write and take care of young children. More power to you. Good luck with your interesting series.